The upcoming Strategy RPG from SideQuest Studios, developers of the hectic shmup Soldner-X: Himmelstürmer, has been dated and priced for North America. Publisher EastAsiaSoft has announced that Rainbow Moon will be exclusively hitting the Playstation Network in North America on July 10th, six days after it lands in Europe. The title will set gamers back $14.99 and contains a laundry list of features. 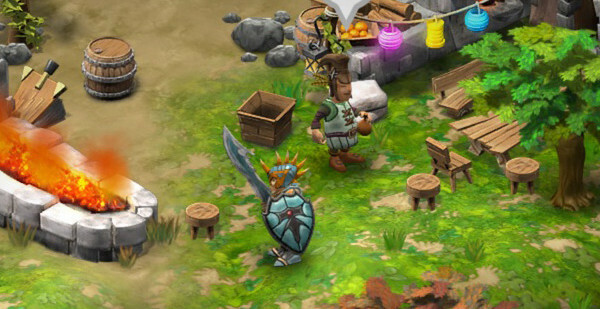 Rainbow Moon will have a long and exciting storyline, all packed together in an open world just brimming with adventure. You play as Baldron, a young man who has been transported to a mysterious planet, and the only desire he has is to get home. The game features a turn-based RPG system, similar to games such as Disgaea and Record of Agarest War, where you move along a grid and strategically place your teammates in specific locations to perform devastating blows. Rainbow Moon also contains fully 3D character and environment models, as opposed to similar games which usually lean more towards 2D sprites. Prepare yourself for an immersive strategy RPG that looks to leave an impression July 10th.